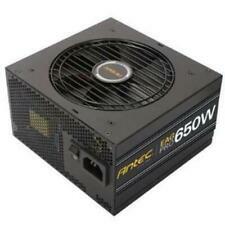 Antec TRUEPOWER 750 Watt Power Supply. Condition is New. Shipped with USPS Priority Mail. This item has been tested for key functions and is R2/Ready For Resale. The item exteriors may have minor scratches, scuffs, dents, cracks, nicks, etc. Local pickup is available. RAKI # R3~SL~L4 (D2632). Ordering a lot of these?. Not seeing images or just seeing tiny images?. These had the dust blown out, powered up to verify they work and removed from the retired computer. Unit has been tested and was pulled from a working machine. We promise to resolve your concerns quickly and professionally. Proceeds are used to support local programs and services. Model: HCG-900. 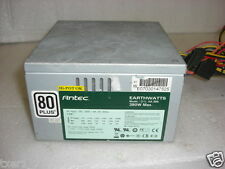 Antec Neo HE500 500W Power Supply. Condition is Used. Shipped with USPS Priority Mail. Mother Board Connector - 20 4 pin Connector x 1. 12 Volt Rails - Floppy Connector - 4 Pin Molex - SATA Connectors - 4 pin x 1. Model : EA650. Sold as pictured! ATX12V version 2.2. Mfr Part Number: 761345-23430-6(TP3 430). Total output: 430 W. New in box, I pulled it out only to take pictures, never been used. Three 12V output circuits provide added system stability. ITEM IS IN GOOD WORKING ORDER. HAS NORMAL SURFACE WEAR. WILL NOT INCLUDE ANY ACCESSORIES. We specialize in used/secondhand goods. Works great, recently upgraded my system and no longer need my previous PSU. Past the 3-Year Warranty so I went ahead and removed the cover to clean it to perfection with compressed air. This item is used, and has been tested to ensure that it is working normally. Power cord, cables, or any other accessories are NOT included. Only the cables shown in the pictures will be included. Item may have scratches, scuffs, or other signs of wear due to previous use and handling. However, even with our best efforts, unforeseen problems may arise. Model Number: Neo HE550. Form Factor: ATX12V. Max Output: 550W. Product Line: Neo HE (High Efficiency). Check pictures above for connector types. 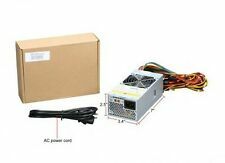 Antec NeoECO Modular NE650M Power Supply 650 Watts 80 Plus Bronze PSU . Shipped with USPS Priority Mail. 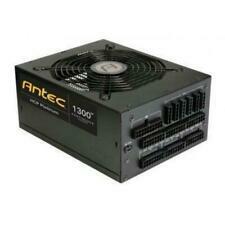 Antec Model TPQ-1000 TRUEPOWER Quattro 1000W Power Supply. Condition is Used. Shipped with USPS Priority Mail. ATX 12V v2.01. New in sealed box. 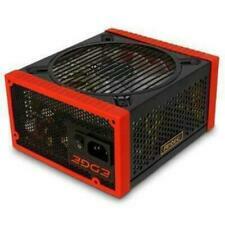 Brand new never opened Antec 380 watt ATX12V V2.3. Manufacturer ANTEC. Condition Detail Used/Pull - Tested for Key Functions. This unit isUSED andTESTED FOR KEY FUNCTIONS. It is being sold as shown in actual photos. No accessories are included if not pictured or specifically noted. The VP630F is crafted for quality, performance and incredible value. No twinkly lights or glittery paint jobs - a 120 mm fan for effective and quiet cooling, dual 12V rails for amazingly stable power and heavy-duty protection circuitry for peace of mind, no matter how demanding your system.